Fly-End fly catchers have been top sellers in many countries for over a decade. They have become an essential element in any stable. Containing non toxic substances, Fly-End fly catchers are the environmentally- friendly alternative to fly insecticide. Fly-End is the most effective way possible to control flies and mosquitoes in outdoor areas such as terraces, gardens, stables and any place where the prescence of flying insects is deemed to be a nuisance. Fly-End has been developed to combine the very latest pheromone technology with state of the art glue to make a product that does exactly what it says on the box – Catch Flies Quickly And Efficiently!! Fly-End is non toxic and contains no insecticide or pesticides. 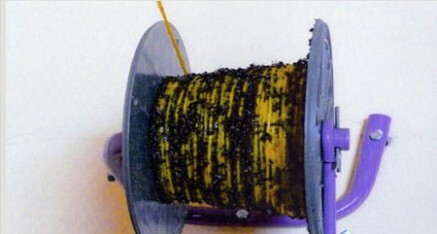 Fly-End is easily fitted and within days can reduce fly population in the immediate area. Fly-End makes al fresco eating a pleasure again! !